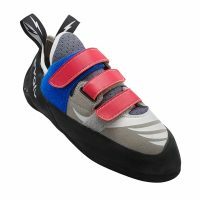 Moderately downturned shoes are all-purpose, all-around shoes that can be worn for a variety of styles of climbing. 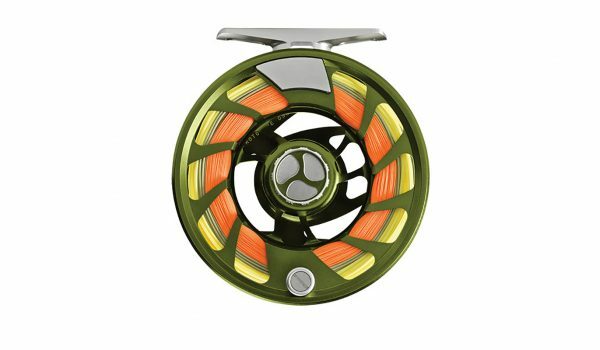 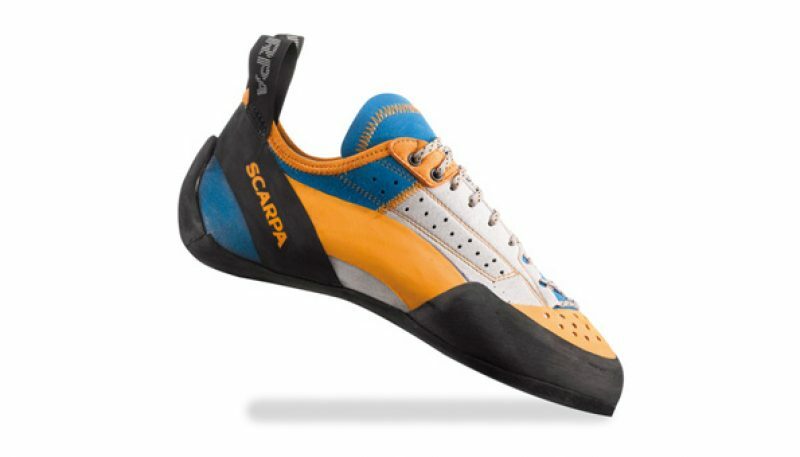 They have a slight curve to the last and are more comfortable than aggressive shoes. 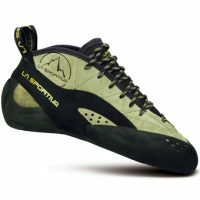 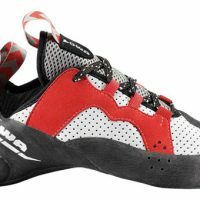 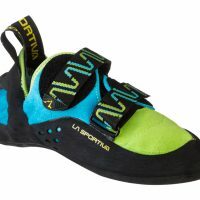 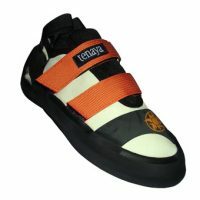 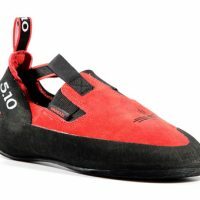 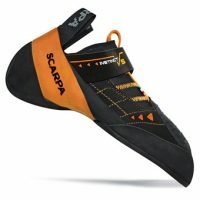 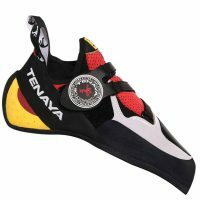 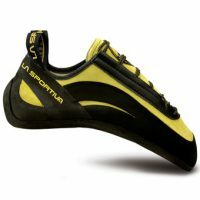 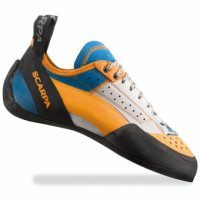 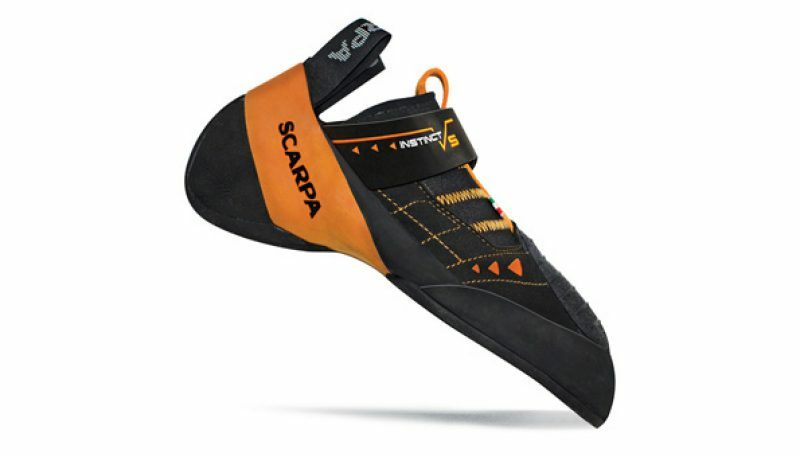 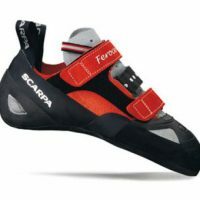 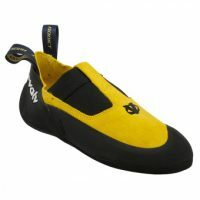 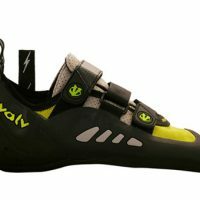 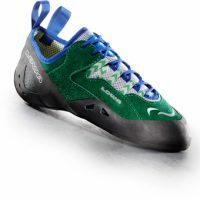 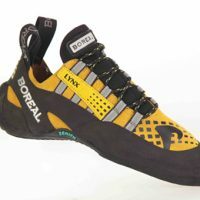 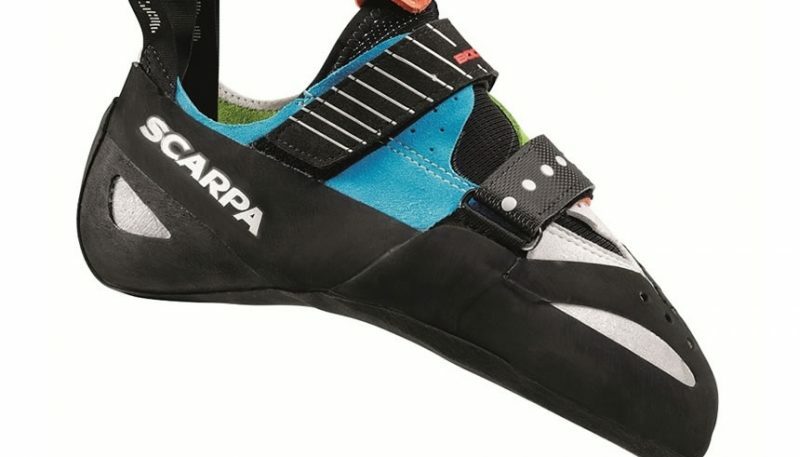 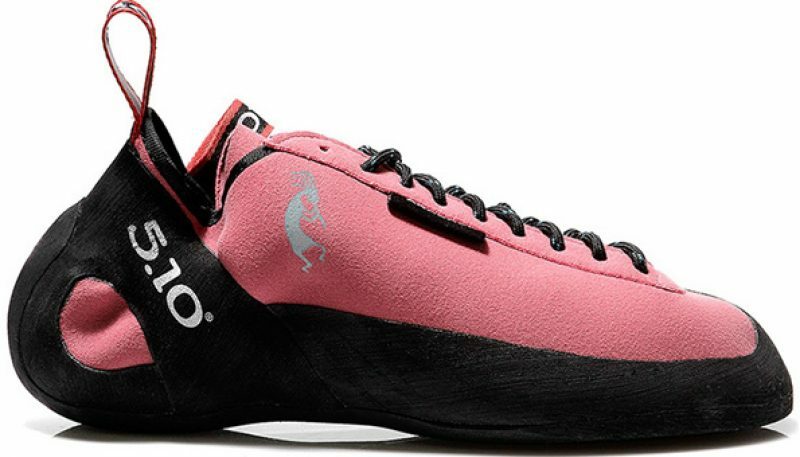 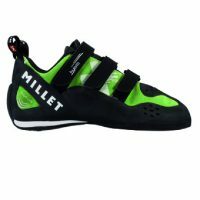 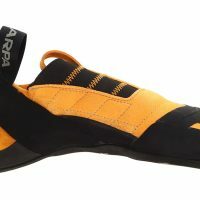 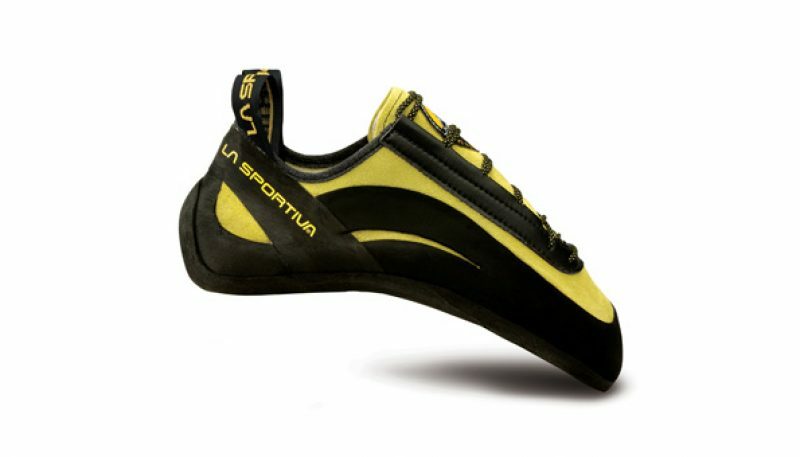 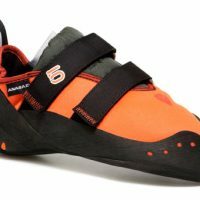 This style of shoe probably excels the most at vertical face climbing, but some climbers use moderately downturned shoes for cracks and multi-pitch climbs (usually sized a little large) and other climbers use them on steep, difficult projects (often sized tighter). 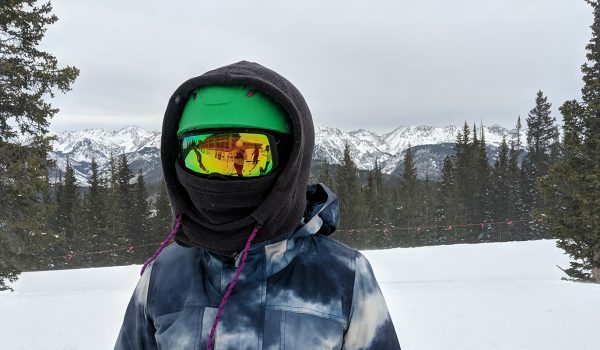 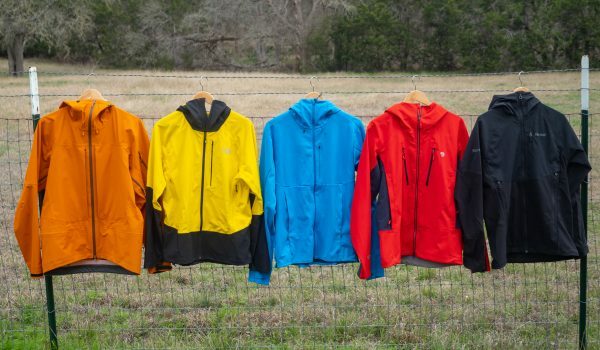 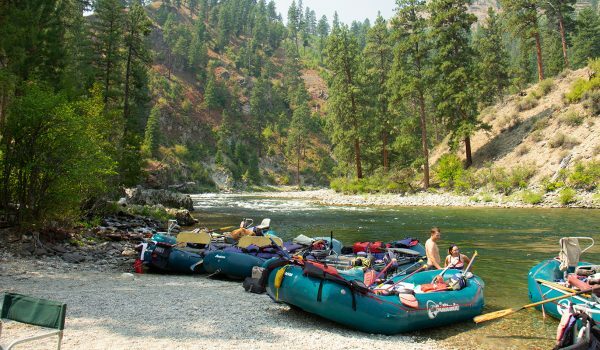 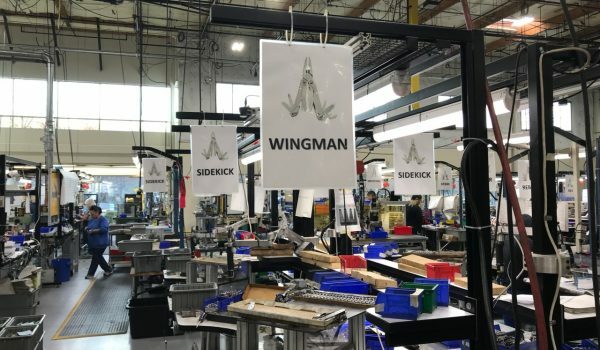 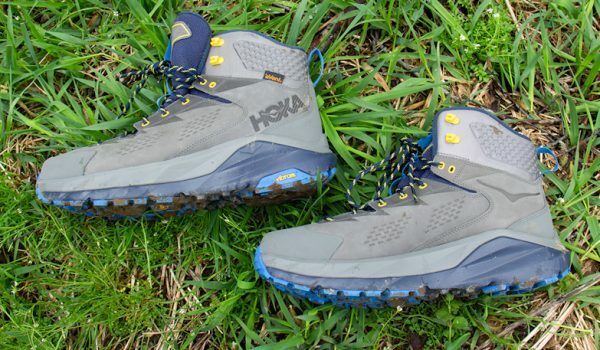 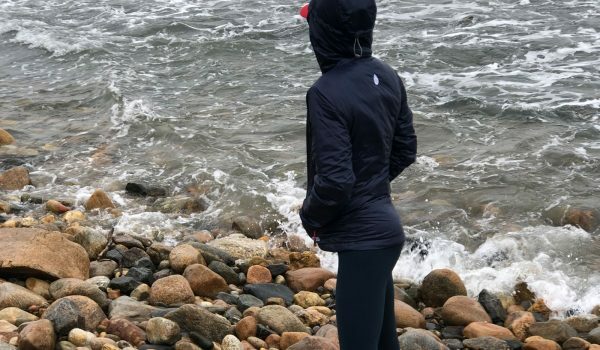 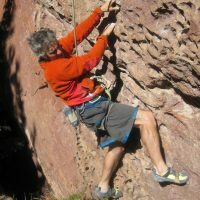 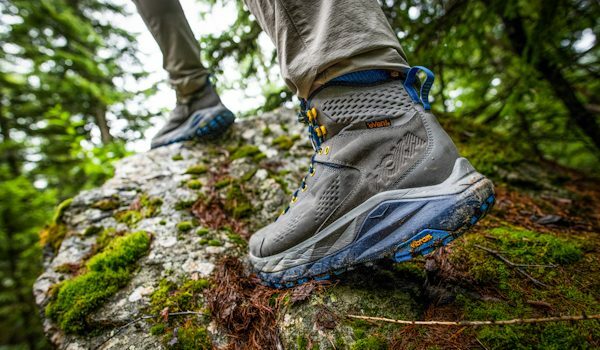 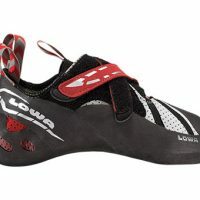 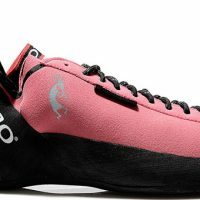 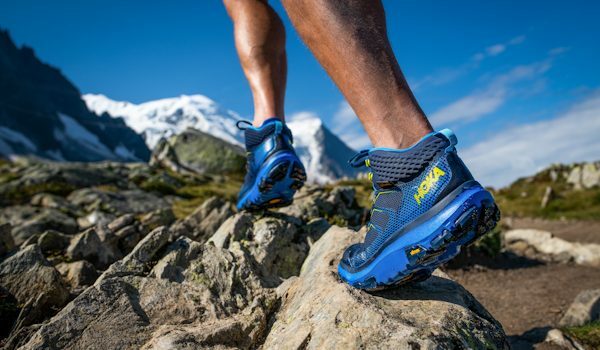 Most climbers will want at least one moderate, all-purpose shoe in their quiver, and there are certainly high-quality models on the market with only some or no downturn. 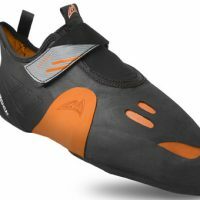 You can choose to size these shoes tighter for more precision or looser for more comfort. 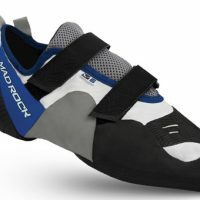 Read our reviews to see which all-around moderate downturn shoes are our favorites. 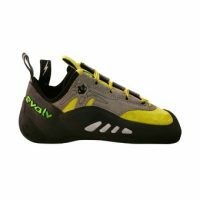 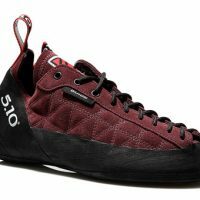 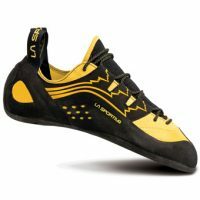 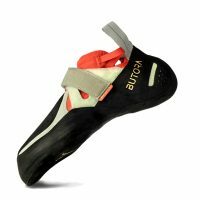 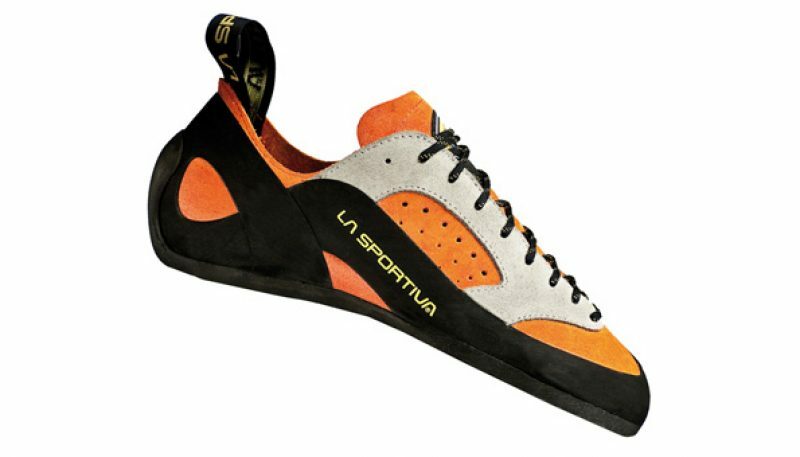 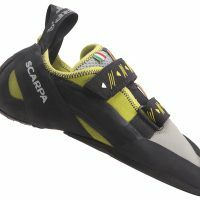 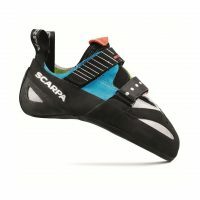 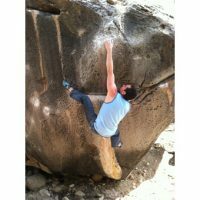 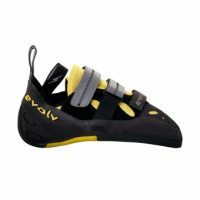 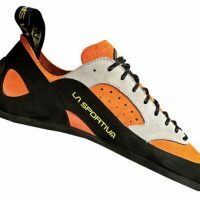 A superb, hyper-precise, form-fitting, powerful shoe for high-end face, trad, and steep climbing, and bouldering/gym climbing. 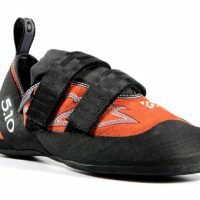 The Instinct VS has the best heel-hooking heel and toe-scumming patch in the Instinct family, as well as the most aggressive fit (read: least stretch); the elastic tongue with pull-tab lets you worm deep into the toebox, eliminating dead space, while the broad single Velcro closure is comfortable but effective for tweaking fit. 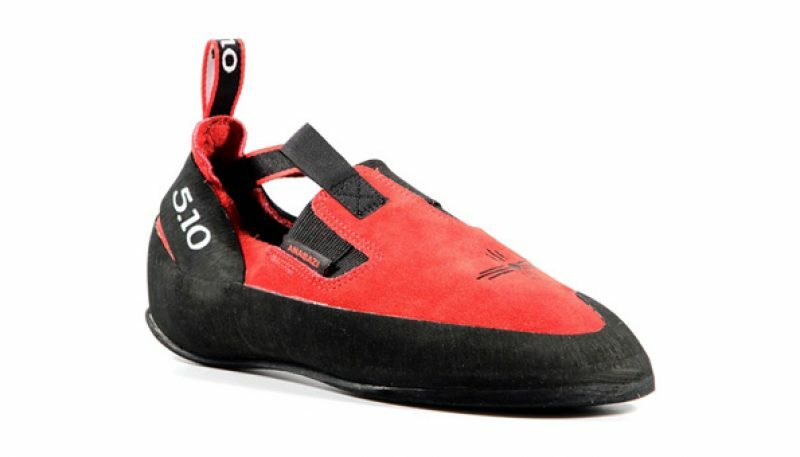 This is a gem of a shoe that, given its pared-down looks and unprepossessing design, was a sleeper redpoint and onsight machine, with the perfect blend of performance, tweakable fit, softness/smearing, comfort, and precision—especially with strong feet accustomed to slippers. 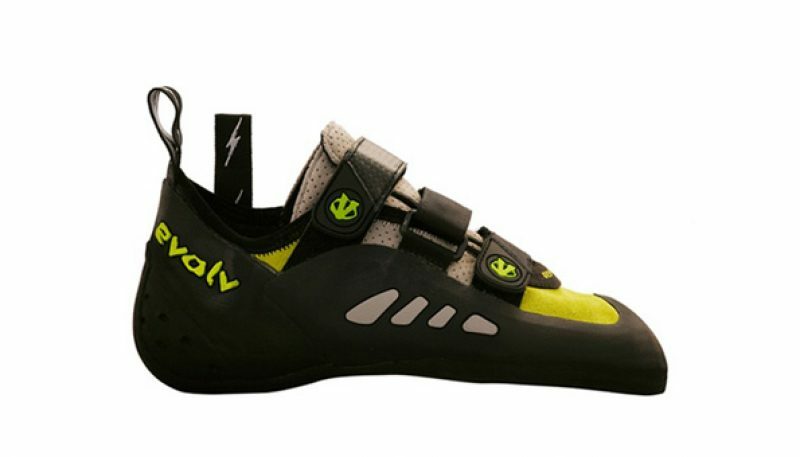 Also, it has Evolv’s standard-issue high, bomber heelcup. 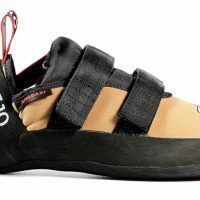 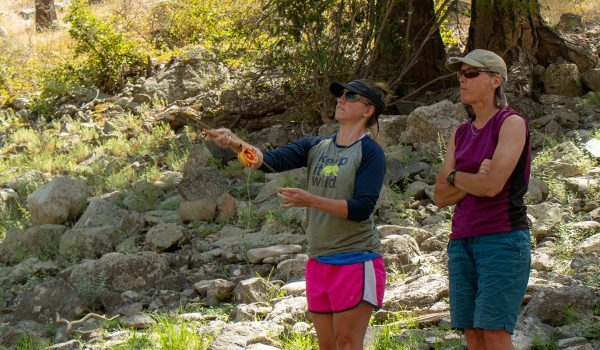 The Five Ten Anasazi Moccasym is a classic – a basic, soft slipper that has withstood the test of time, and performs best on crack climbs and smears. 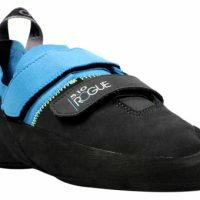 Because they are so soft, they are less exceptional at edging, and they are too rounded in the nose for smaller pockets.